The American Ballet Theatre (ABT), based in New York City, was one of the foremost ballet companies of the twentieth century and remains a leading dance company in the world today. Few ballet companies equal ABT for its combination of size, scope and outreach. Launched in 1940, ABT annually tours the United States, performing for more than 600,000 people, and is the only major cultural institution to do so. It has also made more than 15 international tours to 42 countries as the ballet company most representative of American dance and has been sponsored by the State Department of the United States on many of these engagements. There are three levels within the company: the Corps de ballet, the Soloists, and the Principals. The company also maintains the ABT II, a second-tier studio ensemble. While the company was originally founded in 1937 as the Mordkin Ballet, it was reorganized under the direction of Lucia Chase, noted American ballerina, and Richard Pleasant, ballet manager and publicity agent, in 1940 with a new name as the Ballet Theatre. This was a mere six years after Lincoln Kirstein had established his company, which later became the New York City Ballet. With the inroads New York socialite Kirstein had made, the Ballet Theatre was unfettered to develop a repertoire of classic ballets from the past and creative new works by promising young choreographers of the day. Radio City Music Hall, where the future American Ballet Theatre made its public debut. 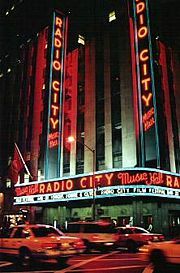 The curtain at Radio City's Center Theater went up on January 11, 1940; the Ballet Theatre took the stage, and history was made. The company, which then billed itself as "America's First Ballet Theatre Staged by the Greatest Collaboration in History," would set a new course in American dance. This event sparked 40 years of choreographic strength and exceptional style as ABT was helmed by Lucia Chase and Oliver Smith, one of the most prolific scenic designers in American history. The repertoire, includes all of the great full-length ballets of the nineteenth century, such as Swan Lake, The Sleeping Beauty and Giselle, the finest works from the early part of this century, such as Apollo, Les Sylphides, Jardin aux Lilas and Rodeo, and acclaimed contemporary masterpieces such as Airs, Push Comes to Shove and Duets. In acquiring such an extraordinary repertoire, ABT has commissioned works by all of the great choreographic geniuses of the twentieth century: George Balanchine, Antony Tudor, Jerome Robbins, Agnes de Mille and Twyla Tharp, among others. In 1956, the company was christened the American Ballet Theatre, and has kept that name ever since. The Metropolitan Opera House in New York is now home to the American Ballet Theatre. Most notable, in 1960 the company became the first American company to dance in the Soviet Union. Mikhail Baryshnikov became Artistic Director of American Ballet Theatre in 1980, succeeding Chase and Smith. Under his leadership, numerous classical ballets were staged, restaged and refurbished, and the company experienced a strengthening and refining of the classical tradition. Baryshnikov, who had said he would leave the company by summer 1990, resigned prematurely in September 1989 after a dispute with management and the board over ABT's finances and the dismissal of one of his staff members. In 1990, Oliver Smith retained leadership of the company alongside Jane Hermann, who had held administrative positions at the Joffrey Ballet and the EliotFeld Dance Company before joining the Metropolitan Opera Association as a consultant in 1976. The duo immediately established an agenda that was dedicated to maintaining the great traditions of the past while aggressively pursuing a vital and innovative future. In keeping with the company's long-standing commitment to bringing the finest in dance to the widest international audience, ABT pursued engagements in Tokyo, London, Paris, Madrid, Buenos Aires, Mexico City, Palermo, Italy, and in Athens and Thessaloniki, Greece. Many choreographers have staged works especially for ABT, including George Balanchine, Adolph Bolm, Michel Fokine, Léonide Massine, and Bronislava Nijinska. The great British choreographer Antony Tudor made his American debut with ABT, and the legendary Agnes de Mille staged the majority of her ballet works with them. Other past choreographers include Jerome Robbins, Twyla Tharp, and Alvin Ailey. ABT's 1976 production of The Nutcracker starring Mikhail Baryshnikov and Gelsey Kirkland, was televised the following year and has become a broadcast classic. Their main season is held during eight weeks in the spring at New York City's Metropolitan Opera House. The 2008 spring season includes The Sleeping Beauty, Giselle, Don Quixote, The Merry Widow, Swan Lake, Le Corsaire, La Bayadère, Etudes, and a new Twyla Tharp ballet premiere. In October 1992, former American Ballet Theatre Principal Dancer Kevin McKenzie was appointed Artistic Director. McKenzie, steadfast in his vision of ABT as "American," is committed to maintaining the Company's vast repertoire, and to bringing the magic of dance theater to the great stages of the world. In the Fall of 2000, American Ballet Theatre made its first visit to China, appearing in both Shanghai and Hong Kong. The Company also appeared in Taipei and Singapore for the first time. Over its 60-year history, the company has appeared in a total of 126 cities in 42 countries. ABT has also appeared in all 50 states of the United States. The American Ballet Theatre has earned a well-deserved reputation for cultivating and nurturing talented young dancers through comprehensive and rigorous training designed to teach the techniques and discipline necessary to hone and apply their natural talents. There are training components at many levels. The Jacqueline Kennedy Onassis School at American Ballet Theatre is a pre-professional ballet training program for students, ages 12-18. Under the direction of Franco De Vita, Principal, students develop their skills in the ABT style, in an atmosphere dedicated to the success of each student. ABT II is a small classical company of 13 young dancers (ages 16-19) of outstanding potential. In its thirteenth season, ABT II prepares these dancers to enter American Ballet Theatre and provides opportunities for the emergence of new and established choreographers and composers. The dancers are handpicked from around the world by the artistic staff of ABT. American Ballet Theatre’s Summer Intensive has earned a reputation for providing a thorough and rewarding dance experience. The Collegiate Intensive program is designed for the mature artist, ages 18-24, involved in the pursuit of higher education. This three-week program takes place at ABT’s 890 Broadway studios in New York City. History of "American Ballet Theatre"
This page was last modified on 17 March 2019, at 15:42.